If you think Erik Emanon's reminds you something you are attentive reader of Swedish Stereo and remember that I mentioned him as a remixer working on Mimi Oh's single "Säkerhetsnål". 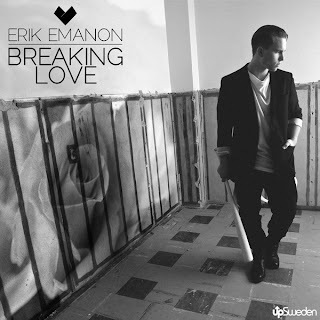 Now Erik starts his solo-career and his debut single "Breaking Love" was premiered with a video that you can already watch below. "Breaking Love" is a pretty special track, it's a ballad with a slight r'n'b-influences and heavy dubstep-sound. I'm pretty sure that this sort of dubstep-ballads has a big (and very close) future so it was pretty smart to release this track in such a right time when this trend just starts being popular. Erik sounds good and looks appealing so probably we have a new Swedish pop-star on the way? Eric Amarillo - Men Hallå! Vem Bryr Sig?